How do poets make sense of landscape? Sense as in meaning, but also as in sensation, the lived experience of engaging with a particular tract of land at a particular time (day, season/weather, human dateline)? The two books here, based on living around and walking through 46.7325ºN, 117.1717º: The Confluence, South Fork Palouse River and Paradise Creek, Pullman, WA, USA, are exemplary, in freshness, thoughtfulness, and depth of engagement. 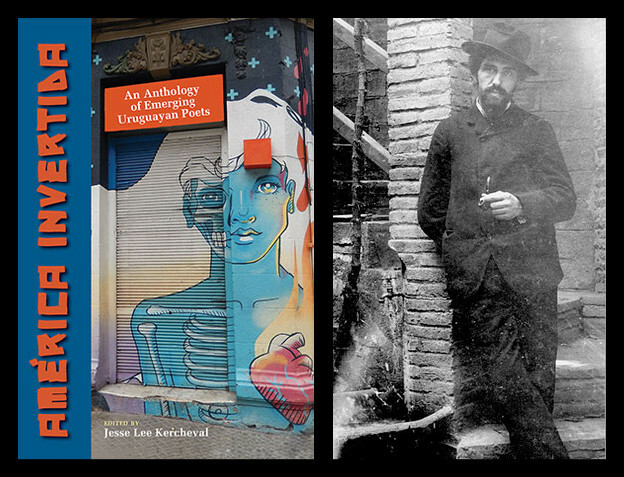 An ecopoetical writing within … by grappling with material and linguistic conditions, creates cultures not only of the mind or heart, but of places; it strives to resituate possession, the “our,” within a matrix of human and nonhuman needs and lifeways. Nature can not have a voice in poems — but a poet can write environed, within, in a place of multiple listenings and differing inscriptions. Whereas Participant (discussed below) is primarily a collage of “experience, thought, [and] perception,” Meaning to Go to the Origin in Some Way is also highly factual — is in part a work of documentary poetry. Sequences of poems are punctuated with maps and illustrations, with an email about weeding from the board of the community garden where Russo is “self-appointed poet-in-residence,” along with “silhouettes of typical vegetation” (29) and instructions for those wanting to attempt to replant native prairie. Russo is good at showing how the “little fictions” engage both with the sensed landscape and with much larger-scale geographical imaginings. “Always Underfoot” — here as elsewhere the titling is partly ironic — includes a screenshot of a satellite photo-map (I’m resisting using the omnipresent brand name here) of 46.7325ºN, 117.1717º, followed by a numbered list of observations, keyed in with white numerals on the grey half-tone of the map. On-the-ground and just-above-the-ground (human and plant scale) talk back to the sky, making the satellite observations porous — to “unattributed informational (folk) signage,” as Russo describes it in an essay on the production of this piece — as well as to touch and sound, the experience of being in the landscape: birdsong, sun-glints, breezes, etc., all dispersed across the space defined by the map and providing alternative “experiential … ‘coordinates.’” Another way of describing this process might be “[w]alking the mapped omissions” (52), the first line of the first poem in this sequence. The river whose name doesn’t appear on the map, for instance, and how “someone puts out the plank footbridge removed / late fall (its omission from street maps marks it as natural)” are indicative of a “map dialectic of depicting / and effacing” (55). A similar dialectic operates formally in this collection — put basically, of gathering as against scattering. Given Russo’s interest in field poetics (not to mention the subject matter!) the reader might expect Olsonian composition by field: words and phrases isolated across the page/the double-page spread, strategic use of white space. But scattering and gathering, omission and marking are thematic here rather than formal. Many of the poems are left-justified, and many are in couplets. “[T]he pattern is a kind of necessity,” Russo writes, “clustered instructions” (55). The mappings, lists, instructions, exhortations (the community gardens email, for example) are in clusters, yes, but they’re also held together by sequential devices. 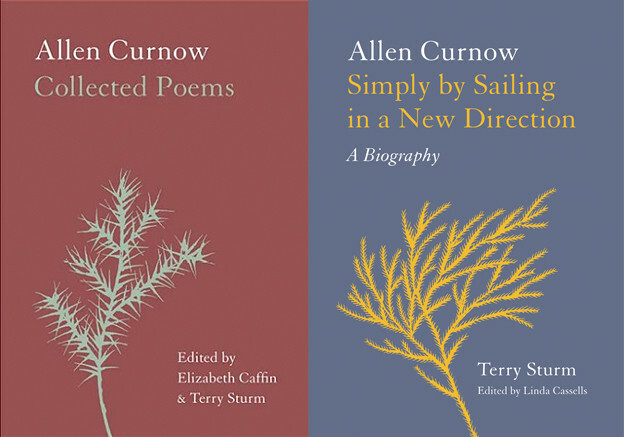 One such is seasonal (seasonally titled poems that provide markers for winter through autumn), others more unexpected. A set of poems scattered through the book, all opening with “she said” or “then she said,” alert the reader that this is a learned landscape, and that included in the writing here is a narrative of that learning. As in all good stories, there are helpers: the author’s mother (who is the “she” mentioned above) and — a more ambivalent figure, a focus for sorrow and anger — the Columbia River Basin pygmy rabbit, on the verge of extinction, and, significantly, saved through hybridization in a captive breeding program. The “origin in some way” when “go[ne] to”/pushed at isn’t a single point, but a dispersal across a wide field, a field of investigation. Another set of poems placed throughout the book, all with the same capitalized title, “GOING TO SURVEY WALMART CONSTRUCTION FROM THE CREST OF PIONEER HILL,” would also appear to promise a sequence — but the development, such as it is, has nothing to do with the progressive stages of erection of big-box projects, but instead opens up into showing how “we in our many vectors crisscross this space” (26) by, for example, recording “the sentient world in the only human way it knows, through animals” (9). Moreover, whereas the first two poems under the self-consciously self-aggrandizing rubric build serious arguments — for an ecopoetics of “interspecies inhabitance” (9), for example, and “the analytic capacity of sentient poetry” (17) — the last two in the set trail off into bathos: “disappointment when ‘thunder’ is the rolling /of a garbage bin” (35) while the final word on the matter, the last line in the last poem of this set, settles for pointing out that “some of us animals out here do live in the / (prairie, ocean, desert) besides” (45). Witnessing is sometimes just trudging up the same hill over and over again. Strategic understatement and studied quietness also feature in Participant, an airy collage of observations, sensations, and comments with quotes and near-quotes from Emily Dickinson. Unlike the poems in Meaning to Go to the Origin in Some Way, the writing here mostly uses composition by field, and the words and phrases read across and up and down two-page spreads as well as page by page, a delicate, almost musical crossweave of repeated words and phrases. Your Riches — taught me — Poverty. While just a Girl at School. Here too are echoes of Hall’s concerns that the built environments of mid-twentieth-century North America take too little account of humans’ needs for kinesthetic perceptions to mesh with visual ones (as happens when walking through a landscape, for example) and his call for visual perception to be understood as a collaborative construction (rather than, as evoked in Russo’s “Always Underfoot,” the literally top-down projection produced by satellite mapping). 1. From Stein’s notebooks, qtd. in Susan Howe, Spontaneous Particulars: The Telepathy of Archives (New York: New Directions, 2014), 19. 2. Linda Russo, “Writing Within: Notes on Ecopoetics as Spatial Practice,” HOW2 3, no. 2 (2008). 3. Linda Russo, Meaning to Go to the Origin in Some Way (Bristol, UK: Shearsman Books, 2015), 77. 4. 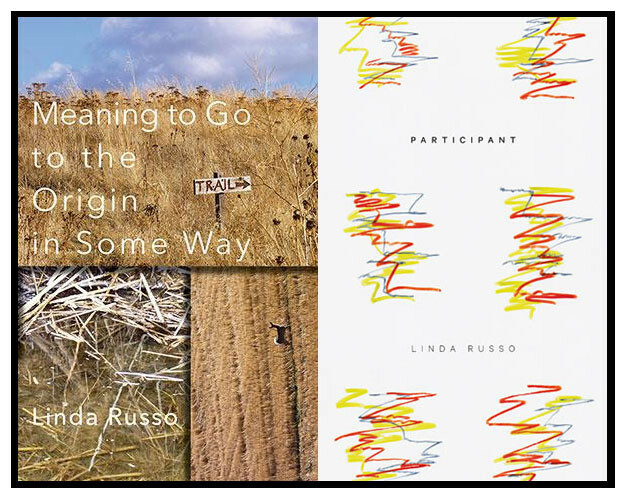 Linda Russo, “Scottish Poetry Library podcast: Linda Russo,” Scottish Poetry Library. 5. Linda Russo, Participant (Jackson, WY: Lost Roads Press, 2016), 10–11. 6. Emily Dickinson, The Complete Poems, ed. Thomas H. Johnson (Cambridge, MA: Belknap Press of Harvard University Press, 1955), 24. See also the Emily Dickinson Archive.